We are committed to providing the best experience to our customers at our MERRILLVILLE INFINITI service department. Schererville customers will be assured to know that we have factory-trained and certified technicians, who have the latest diagnostic tools and maintenance equipment at their disposal. Whether your vehicle requires basic maintenance or a thorough inspection, make our INFINITI service and repair department in MERRILLVILLE your first choice. Our technicians will ensure that your vehicle is taken care of properly. 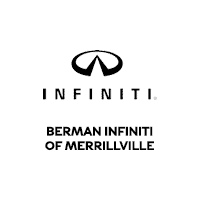 Call or email us at BERMAN INFINITI MERRILLVILLE to set up an appointment. The technicians at our INFINITI service department in MERRILLVILLE, near Hobart, will be happy to help with whatever issue your vehicle has.